Horn Dimension: L 15-1/2 in. x W 4 in. x H 4-1/2 in. & L 18-1/2 in. x W 4 in. x H 4-1/2 in. The Persuader Xtreme electric horn set is two trumpets that are 100% stainless steel 304 non-magnetic grade with a bright polished finish that will not rust. Trumpets are designed for mounting either next to each other or mounting independently in two different locations. 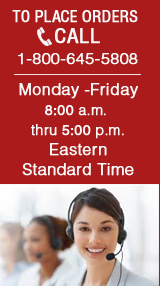 Will provide years of dependable maintenance free service. Engineered for exterior use in almost any weather condition. The Persuader Xtreme does not require a compressor or hoses, saving time and money. Ideal for any 12-volt vehicle such as; trucks, RV’s or boats in fresh or salt-water environments. 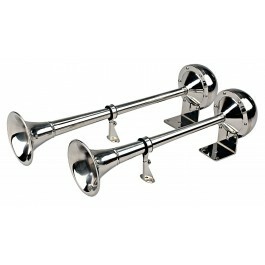 Includes a stainless steel adjustable pedestal trumpet support to prevent vibration. Comes with rubber gaskets, stainless steel mounting hardware and instruction in English / Spanish.